Mini Melts ice cream is a delicious ice cream in a variety of flavors. 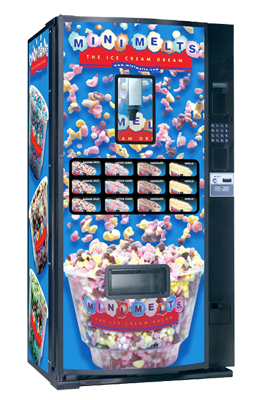 Our machines dispense your favorite. Interested in a machine for your high traffic location?